Continue reading "Irish Expressions: An Online Irish Experience, Wherever You Are!" Continue reading "Irish Last Names: Their Meanings Help us Express our Irish Side!" 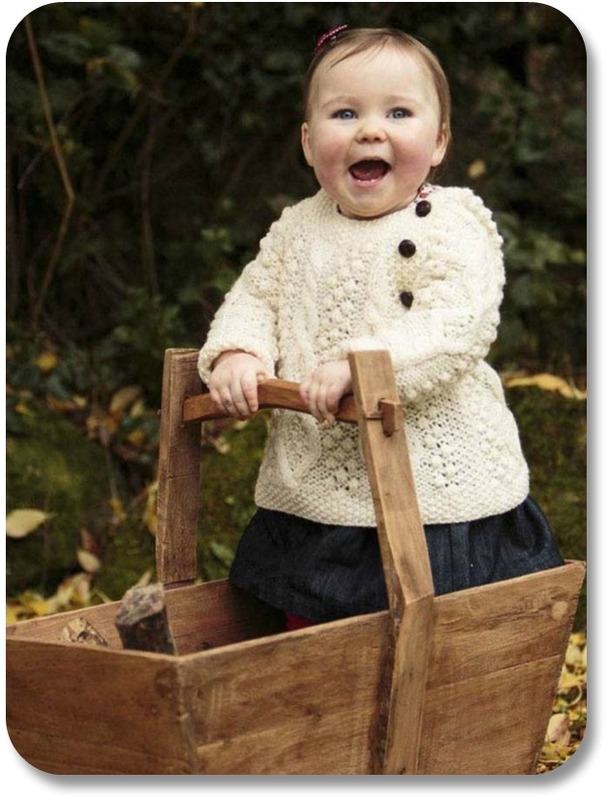 Continue reading "Irish Baby Girl Names: Express Their Irish Sides At a Very Early Age!" 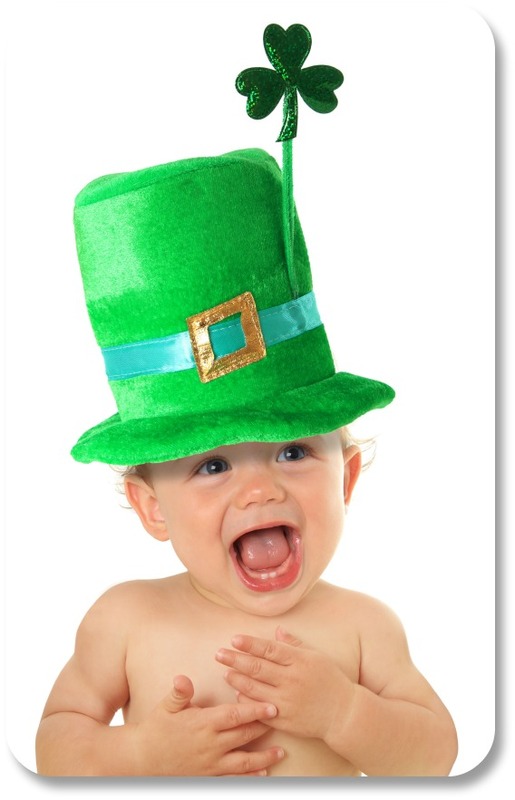 Continue reading "Irish Baby Boy Names: Get an Early Start on Expressing His Irish Side!" Continue reading "Irish Pet Names: An Endearing Way to Express your Irish Side!" Continue reading "Gaelic Name Meanings: A Personal Way to Express Your Irish Side!" Making up funny Irish names adds a fun spirit to Irish-themed occasions such as birthdays, pub crawls, dinner parties, and wedding showers! Read on to learn how! 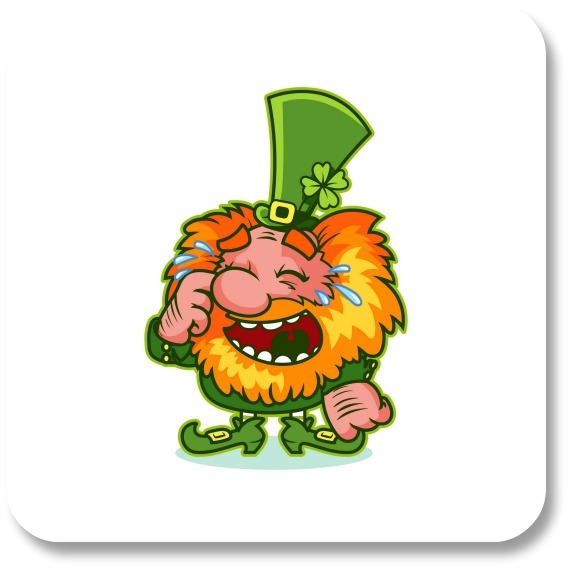 Continue reading "Create Funny Irish Names: This Fun Free Game Will Get You Laughing!" 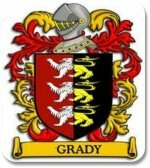 Celtic Name Meanings; A Personal Way to Express Your Love of Ireland. 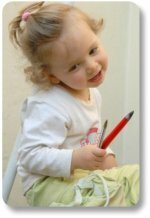 Understanding common Celtic name meanings is a unique way to express your Irish side Read on for popular Celtic names for boys and girls. 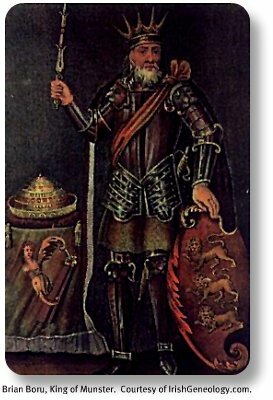 Continue reading "Celtic Name Meanings; A Personal Way to Express Your Love of Ireland." 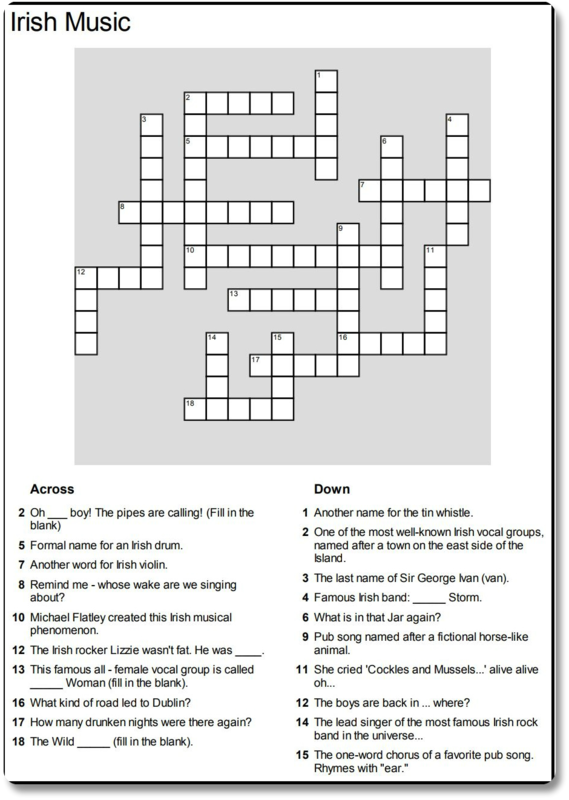 This Irish Music Crossword Puzzle will challenge your knowledge of Irish Music. Pub songs, Irish rock, Irish folk songs, Irish musical artists - it's all here! Give it a try! Continue reading "Irish Music Crossword Puzzle: Challenge Your Knowledge of Irish Music!" Famous for its softeness and durability, Irish linen fabric is a versatile and attractive expression of your Irish heritage! Read on for its back ground and many interesting uses. Continue reading "Irish Linen Fabric: A Staple of Irish Culture and Customs!" An Irish Lace Review: A Beautiful Memory from a Challenging Time! 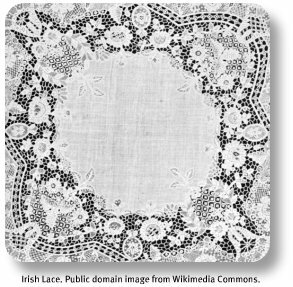 A quick Irish Lace review: What do Irish Lace and the terrible Potato Famine in Ireland have in common? Read on to learn about the difficult origins of this lovely Irish expression. 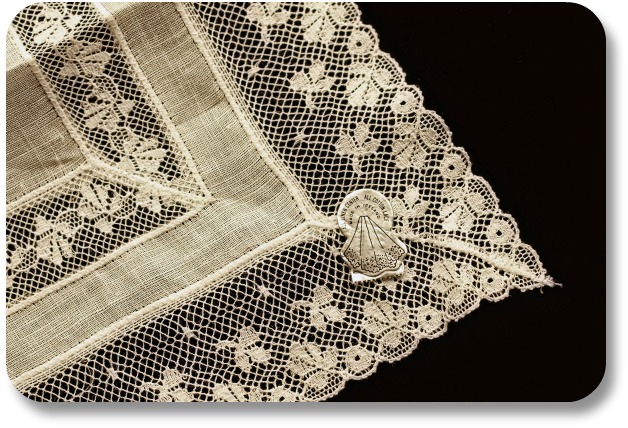 Continue reading "An Irish Lace Review: A Beautiful Memory from a Challenging Time!" 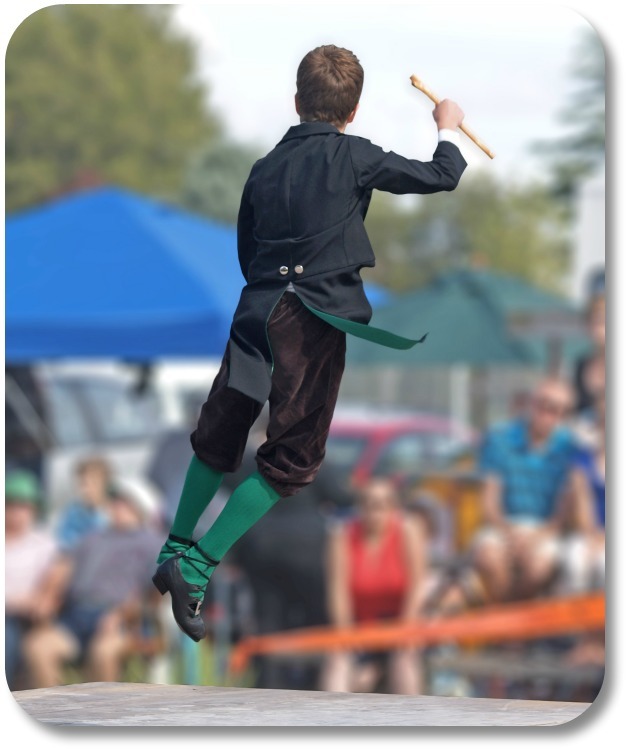 The Irish Jig: An Iconic Expression of Irish Culture and Heritage! A hallmark of Irish culture, the Irish jig is an energetic and happy way to express your Irish side! Read on to learn about what it is and where it came from! Continue reading "The Irish Jig: An Iconic Expression of Irish Culture and Heritage!" 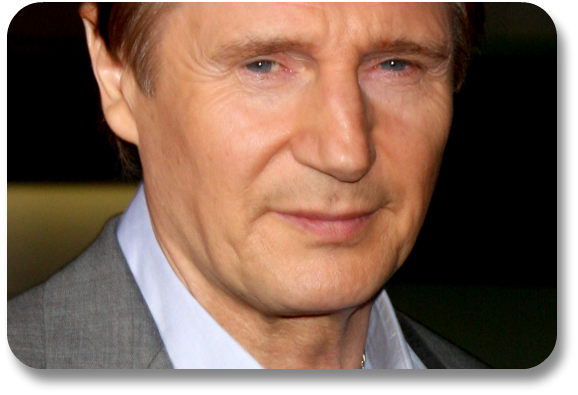 Irish Good Luck: One of the Most Famous Irish Expressions of All! Where did the idea of Irish good luck come from? What does 'luck of the Irish' mean? Read on for fascinating background and ideas on how to express your Irish side! 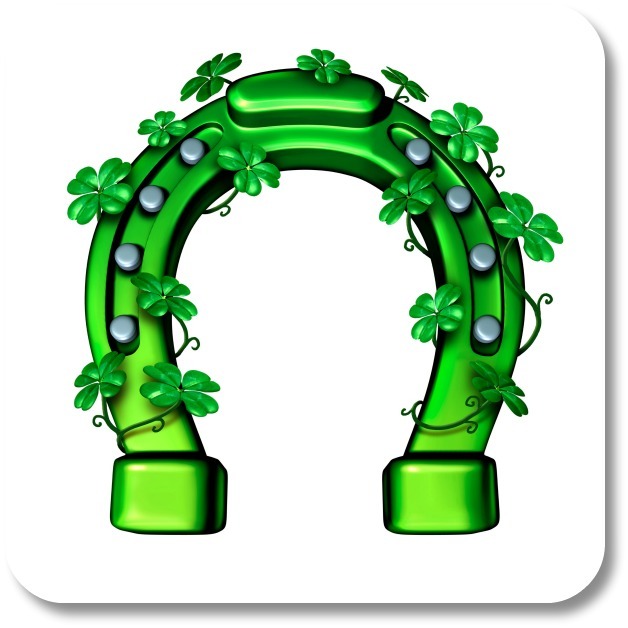 Continue reading "Irish Good Luck: One of the Most Famous Irish Expressions of All!" A brief history of Waterford Crystal: In 1783, two brothers put their heads together and established Waterford Crystal in a busy Irish harbor town. And the rest is ... er ... history! 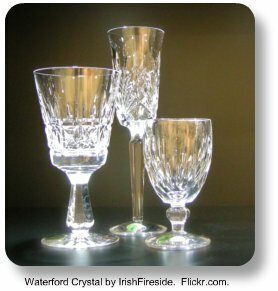 Continue reading "History of Waterford Crystal: A Most Beautiful Irish Expression!" History of Limerick: Catchy Little Rhyme, or Famous Irish Town? The History of Limerick; it's more than a catchy little rhyme. Read on for fascinating stories of the city, and the poem. Explore ways to bring both into your day to day Irish expressions! 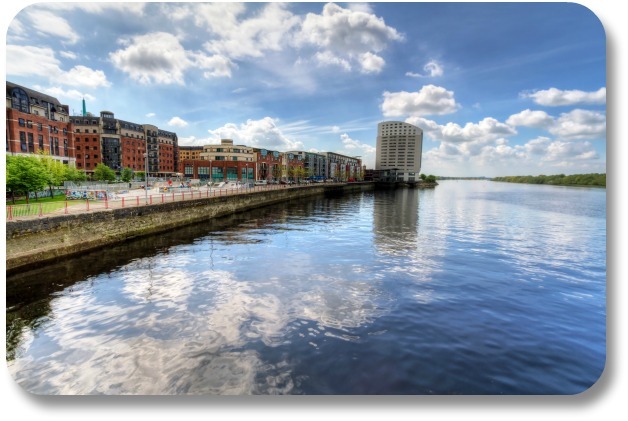 Continue reading "History of Limerick: Catchy Little Rhyme, or Famous Irish Town? " Irish Wool Sweaters: Attractive, Comfortable, Rich With Irish History! Irish Wool Sweaters are attractive, comfortable and steeped in Irish history and folklore. 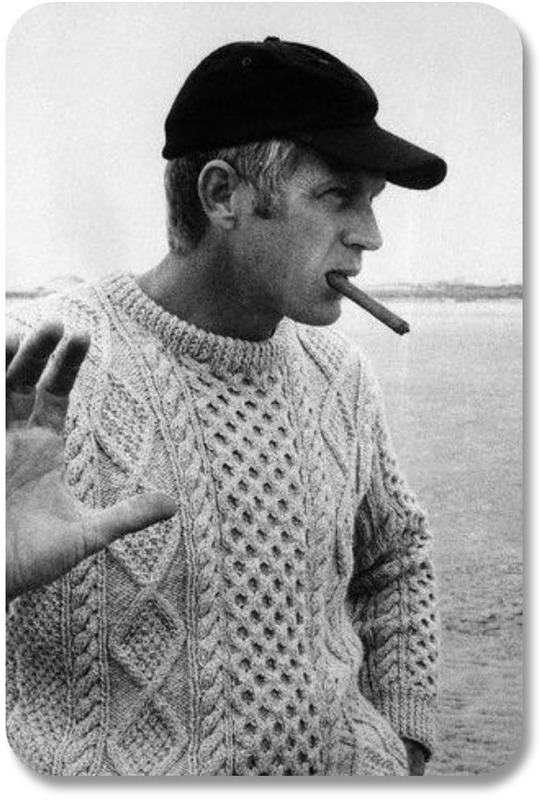 Learn about Aran sweaters and wear them to express your own unique Irish side! 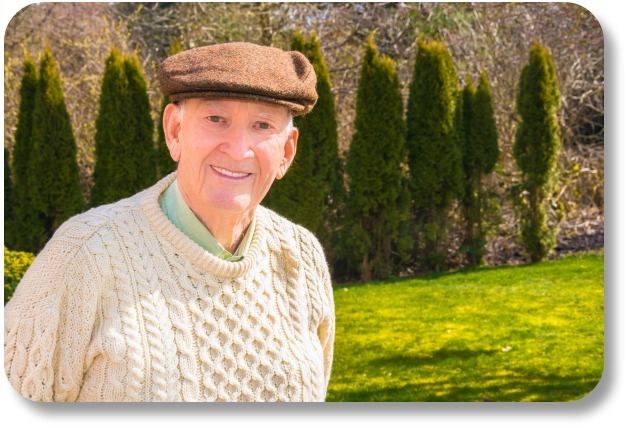 Continue reading "Irish Wool Sweaters: Attractive, Comfortable, Rich With Irish History!" 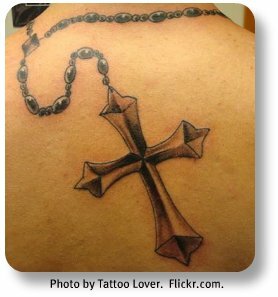 Irish Tattoo Designs: An Artistic Way to Express Your Irish Side! Irish tattoo designs and body art are among the most personal of Irish expressions. Read on for advice on how to make the best choices about this ultimate expression of your Irish side!! 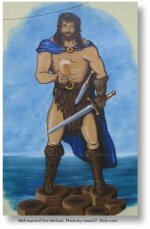 Continue reading "Irish Tattoo Designs: An Artistic Way to Express Your Irish Side!" Creative Irish Gifts: 5 Great Gift Ideas to Express Your Irish Side! 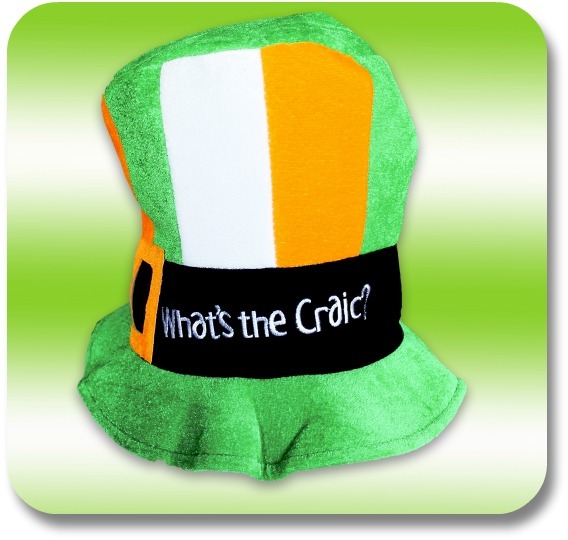 Express your Irish heritage with fun, authentic creative Irish gifts! Read on to learn about a few of our favorites, what makes them unique, and how to get ahold of them! Continue reading "Creative Irish Gifts: 5 Great Gift Ideas to Express Your Irish Side!" Connemara Marble Jewelry: A Unique and Fascinating Irish Expression! Distinct and totally Irish, Connemara marble jewelry can be found in many exciting Irish expressions. Explore this page to learn what it is and how to use it in day to day Irish Expressions! 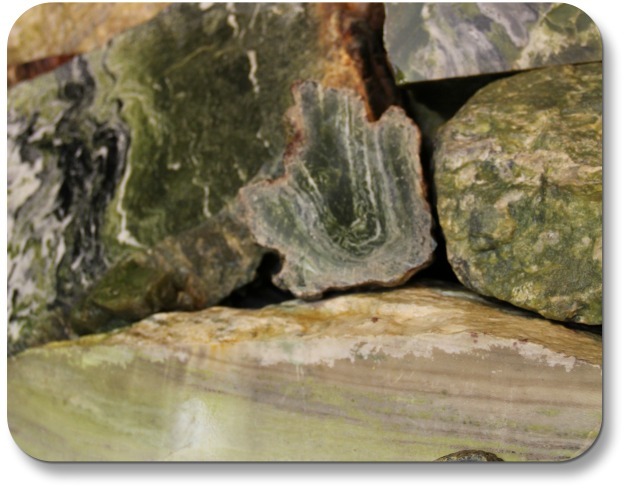 Continue reading "Connemara Marble Jewelry: A Unique and Fascinating Irish Expression!" Irish Baby Gifts: Never Too Young to Express Your Irish Side! Giving Irish baby gifts is a time-tested method of expressing your Irish side! 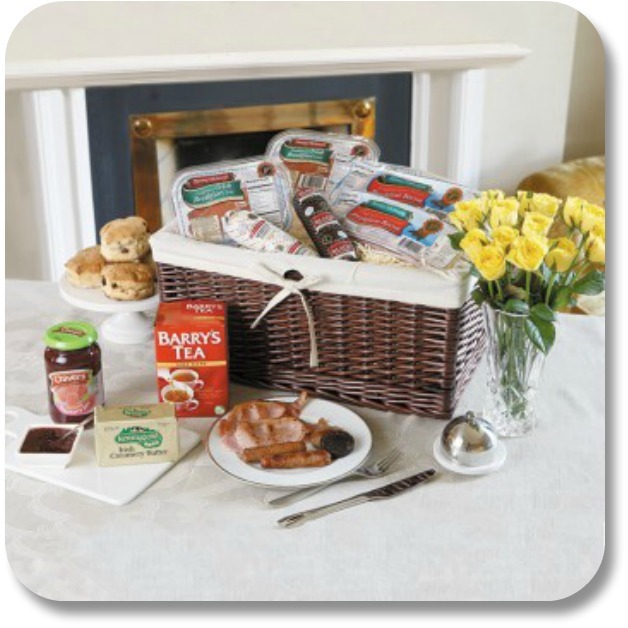 Read on to find exciting gift ideas with an Irish theme. Continue reading "Irish Baby Gifts: Never Too Young to Express Your Irish Side!" Here is a brief and fun timeline of Ireland history- where all Irish expressions began! Read on to hear about key events, characters and expressions... Not your average history lesson! Continue reading "Ireland History: A Fun Way to Connect to Your Irish Side!" Ireland Culture: 12 Simple Ways to Enjoy Irish Customs and Traditions! Learn what makes Ireland culture and customs so fascinating to so many people! Read on to build the culture of Ireland into your day to day Irish expressions! Continue reading "Ireland Culture: 12 Simple Ways to Enjoy Irish Customs and Traditions!" Riverdance Music: An Unforgetable Spectacle of Irish Heritage! Read about Riverdance music, a celebration of Irish dance tradition and a wonderous Irish expression. Where did it come from? What does it mean? How can I see it? Read on for the answers! 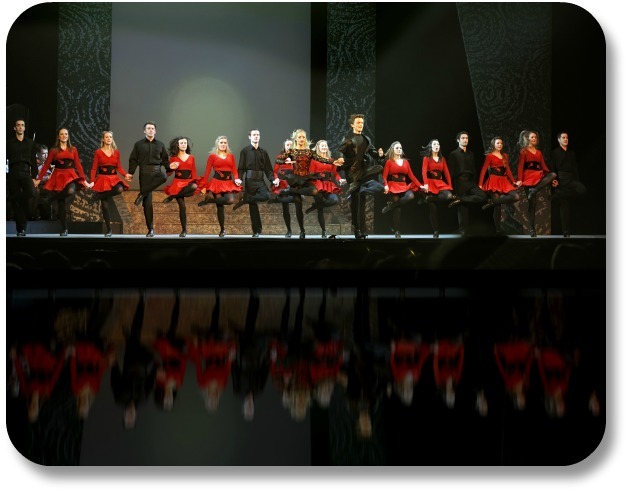 Continue reading "Riverdance Music: An Unforgetable Spectacle of Irish Heritage!" You can use this st patricks day trivia to spice up your St Paddy's Day party, or just to know more about Ireland! Read on for little known facts about this important day! 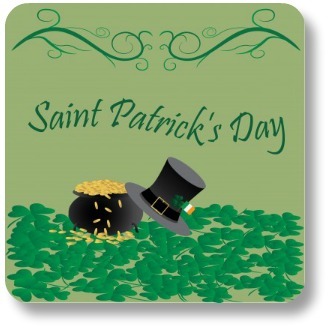 Continue reading "St Patricks Day Trivia: Fun Facts About An Important Irish Holiday!" St Patricks Day Poem: Add Spice to Your St Paddy's Day Party! Knowing a good St Patricks Day Poem or two can add that special spice to your St Paddys Day party or any special Irish occasion! Learn a few of our favorites here, and be the life of the party! 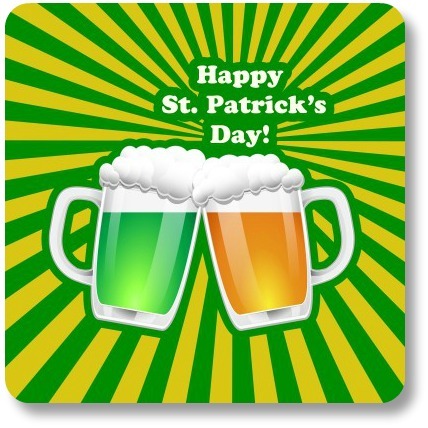 Continue reading "St Patricks Day Poem: Add Spice to Your St Paddy's Day Party!" St Patricks Day Kids Crafts: 3 Fun Ideas for Kids of All Ages! 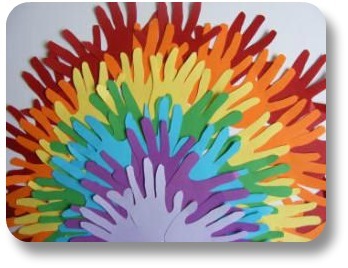 St Patricks Day kids crafts are a great way for lads and lasses of all ages to express their Irish sides! 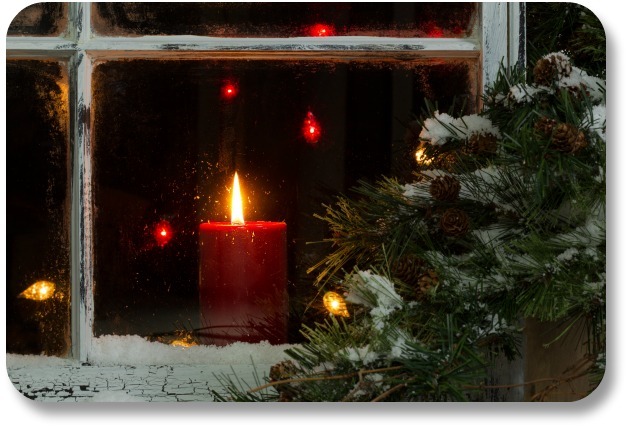 Read on for a few of our favorite ideas, and links to many, many more! Continue reading "St Patricks Day Kids Crafts: 3 Fun Ideas for Kids of All Ages!" St Patricks Day Drinks: Two Great Irish Traditions go Great Together! St Patricks Day drinks are a natural way to express your Irish side! Enjoy this article for our favorite recipes! 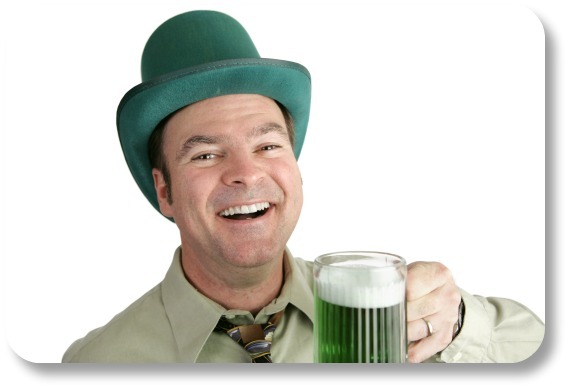 Continue reading "St Patricks Day Drinks: Two Great Irish Traditions go Great Together!" St Patricks Day Desserts: A Delicious and Memorable Irish Expression! Preparing and serving St Patricks Day desserts is a declicious way to express your love of Ireland, during one of the most importatn Irish celebrations. Read on to see a few of our favorites! Continue reading "St Patricks Day Desserts: A Delicious and Memorable Irish Expression!" St Patricks Day Appetizers: 3 Ways to Start Your Irish Party! Although they may seem simple, all St Patricks Day appetizers are not created equal! Here you will discover a few of the best, guaranteed to get your St Patricks Day party started! 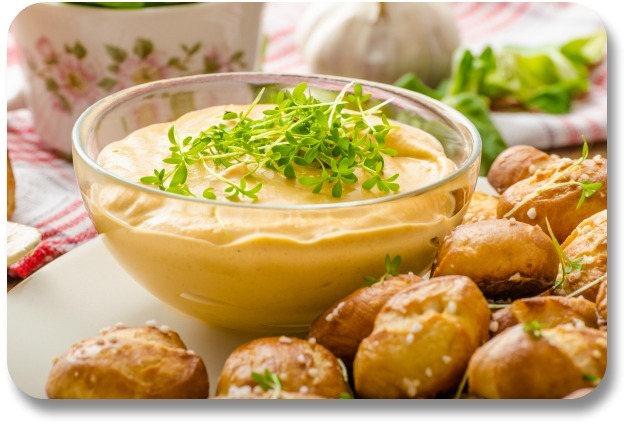 Continue reading "St Patricks Day Appetizers: 3 Ways to Start Your Irish Party!" St Patrick Day Recipes: 4 Irish Foods for Unforgettable Irish Meals! The best St Patrick Day recipes can be served on any occasion (or for no reason at all)! Read on for our favorite Irish recipes! 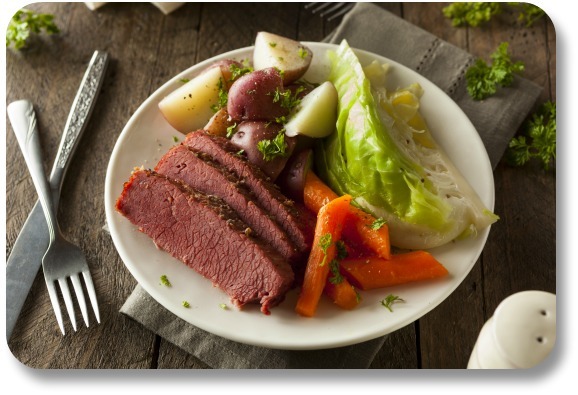 Continue reading "St Patrick Day Recipes: 4 Irish Foods for Unforgettable Irish Meals!" St Patrick Day Crafts: 3 Simple Ideas to Personalize St Paddy's Day! There is no more personal Irish expression than making your own st patrick day crafts! Here are instructions for a few of our favorites, and ideas for still more! 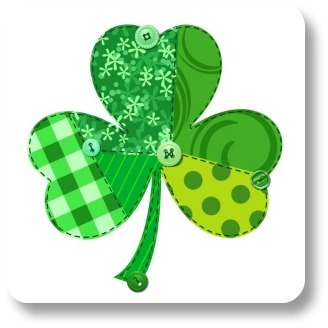 Continue reading "St Patrick Day Crafts: 3 Simple Ideas to Personalize St Paddy's Day!" St Patrick Day Activities: 5 Fun Ideas to Spice Up Your Party! Our site contains many ideas for making your St Paddy's Day memorable, and St Patrick Day activities will do just that! Read on for our favorite activities for all ages. Continue reading "St Patrick Day Activities: 5 Fun Ideas to Spice Up Your Party!" In your wedding, the words define the moment. This Irish wedding vows will help you express your Irish side during one of life's most treasured moments! Continue reading "Irish Wedding Vows: Express Your Irish Side With The Exact Right Words"
Irish Wedding Toasts: Share Your Irish Side on this Memorable Day! One of the most sought-after Irish expressions,Irish wedding toasts can add to the memories of an already cherished occastion! Read on for great ideas and examples! 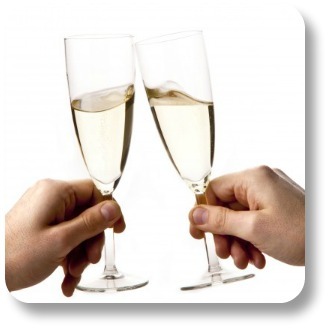 Continue reading "Irish Wedding Toasts: Share Your Irish Side on this Memorable Day!" Irish Wedding Songs: A Musical Way to Express your Irish Side! Play Irish wedding songs to express your Irish side on one of life's most important occasions! Read on to learn about favorite wedding songs and their Irish origins. Continue reading "Irish Wedding Songs: A Musical Way to Express your Irish Side!" 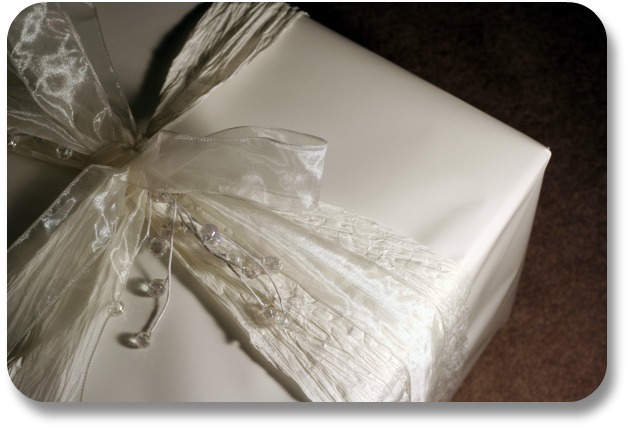 Irish Wedding Gift Ideas: Give the Gift of Irish Heritage! 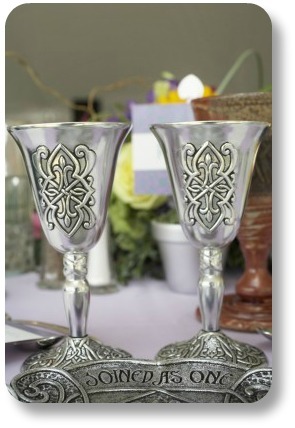 Continue reading "Irish Wedding Gift Ideas: Give the Gift of Irish Heritage!" Irish Wedding Favors: Memorable Ideas for Our Favorite Occasion! 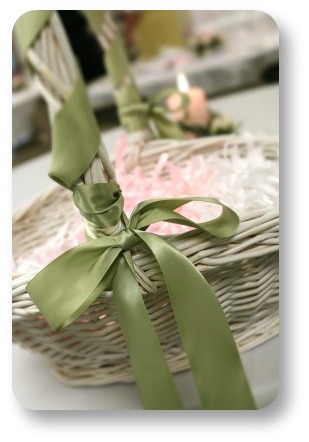 Continue reading "Irish Wedding Favors: Memorable Ideas for Our Favorite Occasion!" Irish Wedding Dresses: Share Your Irish Side In This Precious Moment! 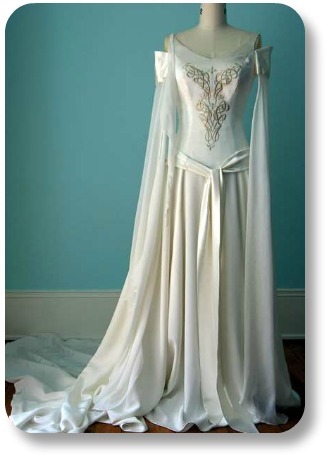 Irish wedding dresses represent ancient, cherished celtic values and customs. 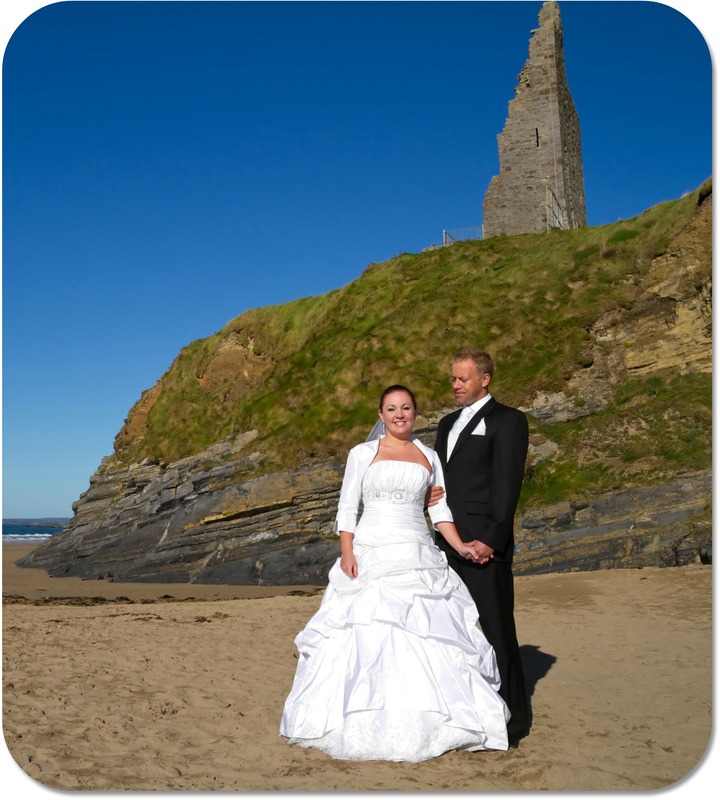 Make your Irish wedding gown a lovely expression of your Irish side! Continue reading "Irish Wedding Dresses: Share Your Irish Side In This Precious Moment!" Learn the types and traditions of the Irish Wedding Cake, a tasty way to express your Irish side during one of life's most cherished moments! 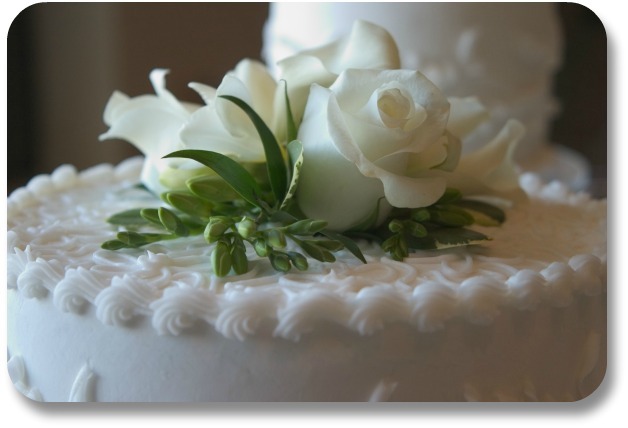 Continue reading "Irish Wedding Cake: A Memorable Way to Share Your Irish Side!" An Irish Wedding Blessing: Yet Another Way to Express Your Irish Side! Continue reading "An Irish Wedding Blessing: Yet Another Way to Express Your Irish Side!" Irish Wedding Bands: Lasting Memories of a Cherished Irish Occasion! Including Irish wedding bands in life's most cherished occasion is the perfect way to express your Irish side! 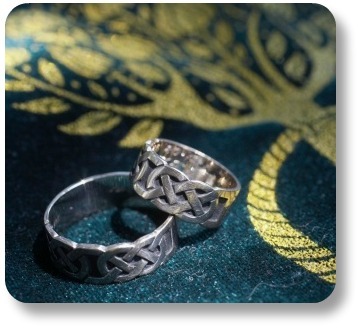 Read on to learn about Irish wedding rings, styles and creative ideas. Continue reading "Irish Wedding Bands: Lasting Memories of a Cherished Irish Occasion!" If you want to understand Irish culture and expressions, this list of Irish themed movies is a great place to start! Read on for some of our favorite cinematic expressions of Irish culture. Continue reading "Irish Themed Movies: 6 Titles Provide a Window Into Irish Culture"
Suppoarting our favorite traditional Irish sports is an energizing way to express your Irish side! 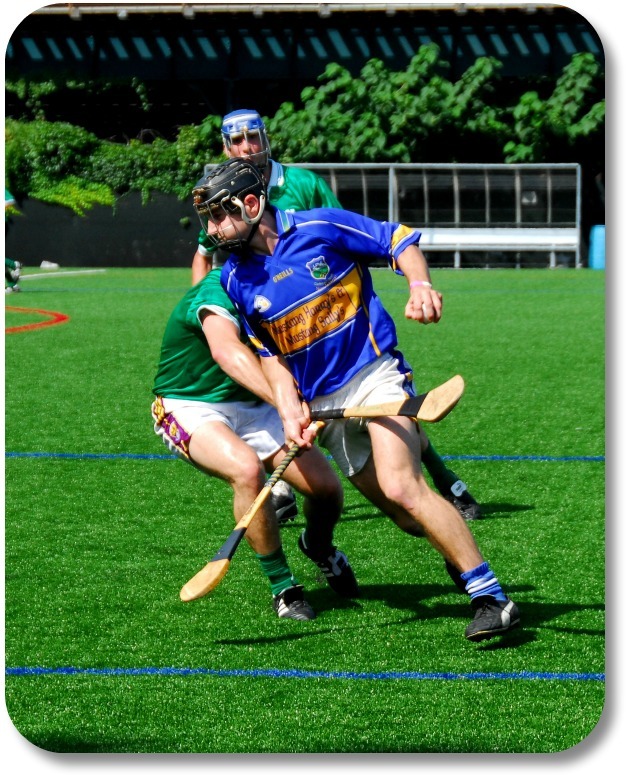 This page shares the most popular sports from Ireland and examples of how they are played. Continue reading "Traditional Irish Sports: Energizing Ways to Express your Irish Side!" 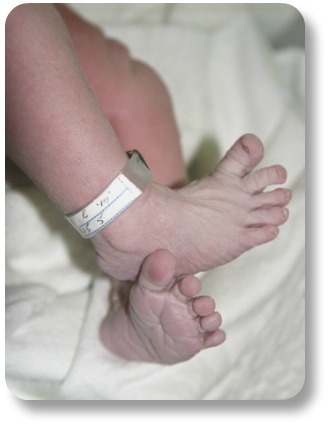 Learn about the best Irish baby names and where they come from! Here you will find our favorite names and their meanings. Use them to express your Irish side! Continue reading "Best Irish Baby Names: 12 Examples to Help You Choose an Irish Name!" Traditional Irish Clothing: 6 Great Tips to Express Your Irish Side! Wearing traditional Irish clothing can be a very visible and creative way to express your Irish side, wherever you are in the world! Read on for ideas and links to clothing from Ireland!! Continue reading "Traditional Irish Clothing: 6 Great Tips to Express Your Irish Side!" Learn exciting ways to express your Irish side during Irish holidays! Read on for our favorite holidays in Ireland and ideas for adding them to your own Irish expressions! Continue reading "Irish Holidays: 7 Joyful Celebrations of Irish Culture and Heritage"
Fun St Patricks Day Games: Celebrate the Most Famous Irish Holiday! Finding the perfect St Patricks Day Game is the key to celebrating the most famous Irish holiday of all! And a great way to express your personal Irish side. Read on for ideas on how to make this St Patrick's Day the best one yet! Continue reading "Fun St Patricks Day Games: Celebrate the Most Famous Irish Holiday!" 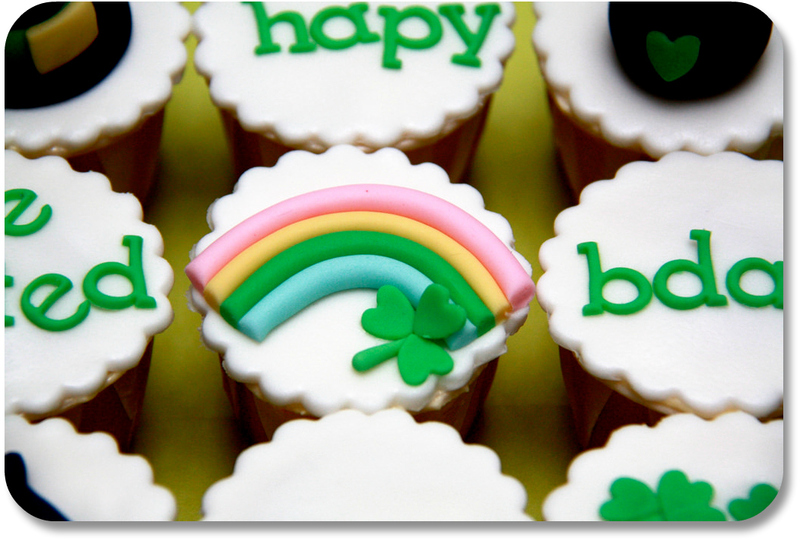 Irish Birthday Traditions: Celebrating Your Birthday Lad or Lass! Knowing a few Irish birthday traditions can take your Irish side to a whole new level. Read on for some great ideas to energize your next Irish birthday celebration! Continue reading "Irish Birthday Traditions: Celebrating Your Birthday Lad or Lass!" Irish dancing - one of the most unique and enjoyable kinds of Irish expressions! Read on to learn what makes it unique, and how to use it to express your own Irish side! 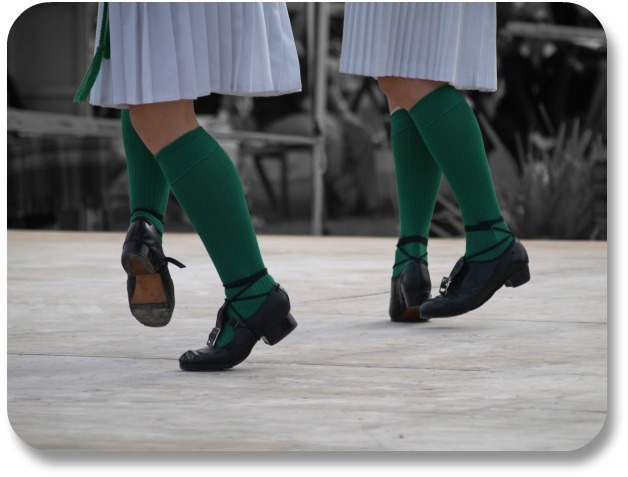 Continue reading "Irish Dancing: A Joyful Expression of Irish Culture and Heritage!"